How and why to use "fitosporin"
"Fitosporin" – a drug, which protects plants from fungi and bacteria. In addition, it acts as a fertilizer. To prepare the solution is used "fitosporin" in the form of paste, powder or liquid. "Fitosporin" – a drug used to protect plants from fungi and bacteria. It's a great luminosae (organic) fertilizer, which continues to perform its function even at the end of the season. "Fitosporin" can cope with the late blight, rust, Parsa, Clubroot, blackleg, bacterial cancer, etc. the product is made in the form of paste, liquid and powder, which is very convenient. The most popular paste-like products of this series. For the preparation of the treatment solution should one part of the paste to dissolve in two parts of plain water and use for processing vegetable crops, flowers and houseplants. However, you must remember that it gives the maximum effect only at a certain temperature – from +15 to +35oC. For full protection, treatment should begin with pre-sowing seed soaking and spraying of potato tubers before planting. For treatment of indoor plants in the summer and winter periods requires 4 drops of the prepared solution to dissolve in 1 glass of water and water the plants. In the same way prepare the means for soaking the seeds of vegetable crops. The sooner you start the treatment "Phytosporin", the better and faster the result will be. In addition to processing plants, saline water and soil. For watering the soil in the beds, you need 1 tablespoon of pasta to add to a bucket of water and stir well. This volume is enough for 1 m2 of soil. During the growth of crop plants can be sprayed every 14 days. 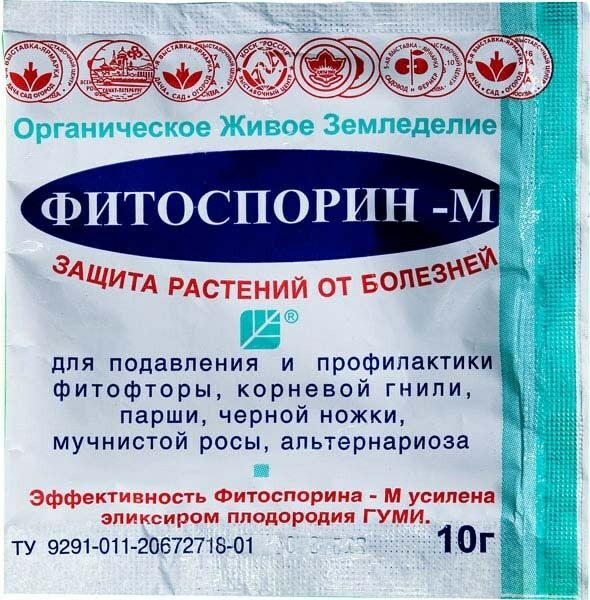 One tablespoon of the drug to dissolve in two-gallon bucket of water and use the resulting solution for treatment of plants on an area of 100 m2 or 4 m2 watering of the soil. Many gardeners-gardeners find it useful to apply the "fitosporin" at the laying of the crop into storage. In this case, the drug significantly prolongs the shelf life of root crops and cabbage. Your crop will not fear the decay, if you each will root dip in a solution of "Fitosporin". Remaining on the land in winter "fitosporin" will lose their antibacterial properties, but how the fertilizer will work at the end of the season. Experienced gardeners recommend the treatment "Phytosporin" three times during the summer for prevention. The plants in the fruiting stage spray can, but if the fruits have already started to darken, it means that the fungus has penetrated deep inside, and with this problem the drug have failed.